The classic set — definitive manual therapy techniques for each line, as referenced in Anatomy Trains, 3rd edition. 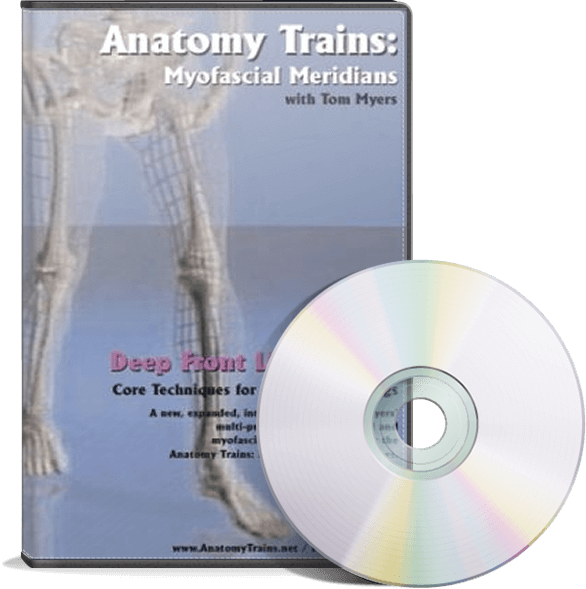 Gives you an in-depth visual introduction to the anatomy of each line, as well as clear and detailed instruction in fascial and myofascial release techniques for each line. This set includes Fascial Tensegrity, Myofascial Meridians, Superficial Front Line, Superficial Back line, Lateral Line, Spiral Line, Shoulder & Arm Lines, Functional Lines, Deep Front Line for pelvis and legs, Deep Front Line for trunk and neck. Available in DVD or streaming video. 10 CE credits through NCBTMB. I purchased the Anatomy Trains book on Google Play. Great book but I had a difficult time visualizing all of the Meridians. These videos are absolutely amazing. Tom explains everything in details and brings to life visually all of the Meridians. He also connects brilliantly the functional residue of client meridians that are not in good alignment. 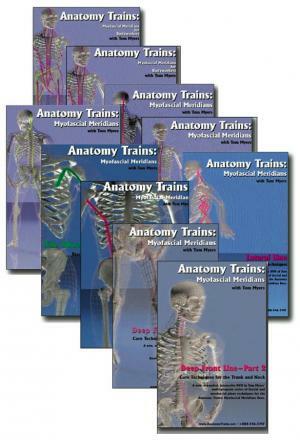 These DVDs are a must purchase for any individual who wants to expand Anatomy Trains awareness immediately.